After you have brought your images into Pano2VR, you can choose to convert them into a different projection or into cube faces. Bring your images into Pano2VR. 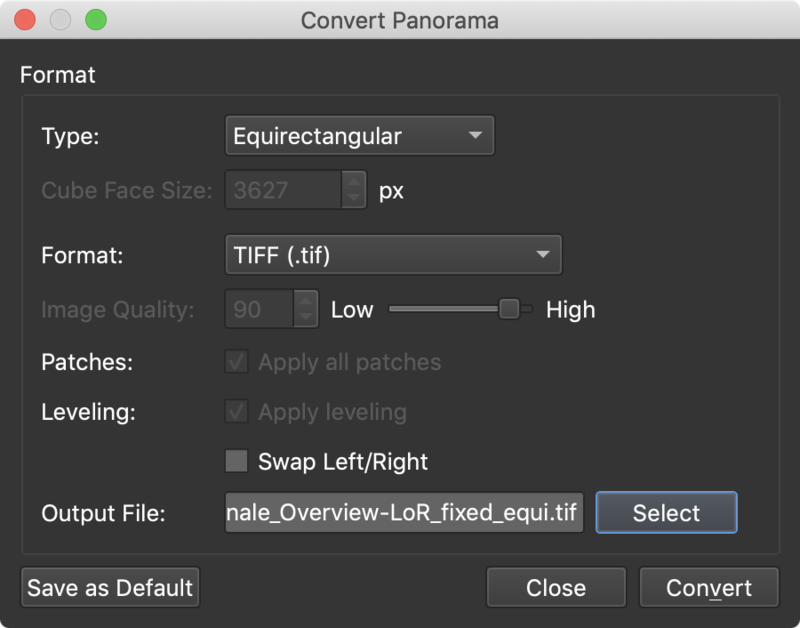 In Pano2VR pro, select the image or images to be converted. Open the Properties Panel and click Convert Input. In the dialog that pops up, choose Cube Faces as the Type. Choose the naming convention for your cube faces in the Face Names menu. Determine your Cube Face size. This number is automatically generated and uses either width/4 or width/pi, depending on what is set in Pano2VR’s settings/preferences. 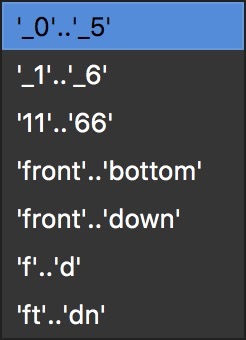 Choose an output format. If you choose JPEG, enter the JPEG quality or use the slider. Change the name and folder of the image in the Output File if you wish. If you do not choose a new folder for the output, the files will automatically be added to the same folder as the source image. ✭ Tip: If you will be using the same format often, consider using Save as Default to save the current settings for the next conversion. Import any one of the cube faces into Pano2VR. Pano2VR will recognize the rest of the cube faces. In the window that pops up, the type will be automatically selected. In this case, Equirectangular. Follow steps 6 through 8 from above.